Alexa has been with a global telecommunications company for 15 years, most recently as an upper mid-level leader in the company’s consumer products division. Alexa took her current post in 2010. That year she led her group to earn Best Retail Operation for the region, going from worst-to-first in a single year. Along with a public award, Alexa received a “Far Exceeds” rating on her annual performance appraisal. Unfortunately, at the time of her next review, Alexa’s group was slightly below its Key Performance Indicators (KPI) targets and so her boss rated her performance as only “Meets Expectations.” It turned out to be a case of poor timing as the group rebounded and by year’s end had once again won Best Retail Operation. For Alexa, the difference between “Meets Expectations” and “Far Exceeds” was important—and tangible. In her company, a rating of Far Exceeds meant the employee had a greater chance of a promotion in the next 12 months, a greater opportunity to participate in juicy cross-functional projects that C-level executives track, and a larger base salary and bonus package for the coming year. Alexa’s boss apologized for the 2011 rating and said he would make it up to her in the 2013 review. Unfortunately, the damage was done; Alexa interpreted her boss’s decision as unfair given her history of taking a last place group to first place in less than a year, and then repeating that high performance. Her boss said nothing could be done. But, that’s probably a fantasy at this point. Alexa now perceives the performance management system as unfair, so she feels hurt by it and wary of it. Our Optimal Motivation process suggests a different approach. Instead of suggesting that she just get over it, we would recommend that Alexa’s leader’s work would be to address how Alexa feels, and to help her reconnect with her passion for delighting customers, her passion for making the workplace amazing for her employees, and the important financial and competitive contribution her group makes to the welfare of the entire organization. Her manager, then, would be engaging with Alexa in a series of Motivational Outlook Conversations. That’s our approach (and we would be happy to talk with you more about that) but for now, let’s make this interactive. What would you do to help Alexa return to the proverbial sunny side of the street? How would you engage her manager? What changes do you think her manager would want to make so that she or he is successful with Alexa? Use the comments feature. It would be great to hear your thoughts and how you would address this situation. The Motivation Guy (also known as Dr. David Facer) is one of the principal authors—together with Susan Fowler and Drea Zigarmi—of The Ken Blanchard Companies’ new Optimal Motivation process and workshop. May 23, 2013 in Case Studies, Emotional Intelligence (EQ), Employee Engagement, Employee Work Passion, Goal Setting, Optimal Motivation, Performance Management, Recognition. Most employees performing significantly below their potential—but does anyone care? To help Alexa get back on track it would be important to highlight why she is working in the position she is currently in. She has shown in the past that she has a true passion and has the skill set to be successful in her role. Highlight what she loves about the job and help get her focus off the negative and back onto what drives her towards success. Addressing Alexa’s manager would have to start with understanding how the decision to give Alexa a meets expectations on her performance cycle. Understanding the reasoning (perceived logic) would help better understand how the decision was made. Encouraging the manager to consider some of the future success and intangibles that Alexa has used to be successful could have resulted in a better performance review. The circumstantial factors should also be considered. There will almost always be lower moments in our annual performance however, we should also be able to see if there is a clear path to exceeding expectations in the near future, which seemed to be the situation with Alexa. Her performance what not necessarily down she was simply affected by the time of the year and circumstantial factors. To help ensure Alexa is motivated and satisfied with her current roles it is important to highlight her success and make her feel validated within her roles. Feeling betrayed or unfairly judged can have a significant effect on the individual’s sense of self-worth to the organization. Alexa should spend time with her manager to understand the successes and her contributions to the organizational success and the future success the team she leads. I had a similar experience to Alexa in 2007 and I resolved to “just meet expectations”. However, within a few months of my evaluation I was given a large impact, highly visible project working directly with a VP (my boss’s boss) and knocked it out of the park. Not only was my next eval “exceeds” but the success of the project once again motivated and energized me about my work. I worked for an agency that had an unfair bonus system. Those in the top salary range could get a bonus of 18% while those at the bottom could only get 6%, I was in the top% but saw this as unfair as did most of many of my employees. Radical that I am I thought the percentages should have been reversed. So my thoughts in this case come from that perspective. I would agree with Amanda that the system was unfair and her perspective reasonable. I would then promises I would work to change the system, but it would be hard to do and she might not see the results. I then would do two other things, I would make sure her written evaluation acknowledged her past performances, included some of the reality reasons why her team met rather than exceeded expectations, and express my faith, she would keep doing all she could to keep moving her team ahead. Through out the year I would send cheer leading memos that applauded her efforts and any success. Finally, I would work to reward her in any other means available to me. Changing the upper system is much harder, but entails raising question about the practice in terms that matter to management — maintaining morale and commitment demands fairness. And of course, this has to be done by being in alliance with the bigger bosses. Fairness matters and percieved fairness matters as much as real matters. You end your response by saying “Fairness matters and percieved fairness matters as much as real matters”. I have had this conversation with my wife because she works in a industry in which the senior staff has a very distinct advantage in getting what they need for the class, time off, resources, and other vital information. My wife has worked hard to highlight the success of her staff and the teachers that are providing the most support to the children. We talk about how the highest performing teachers are some of the newest at the school and have a motivation and fire that the more experienced teachers lack. Four top performing teachers have left because of perceived favoritisim and lack of fairness within the policies of the company. My wife has tried to change the culture at her school but still struggles and we talk about how the perception of fairness often times becomes the reality in the mind of the employees we serve. Looking at this case, I see a couple of issues. But before we get into how to correct the current situation, I think there are also ways to avoid it in the first place. 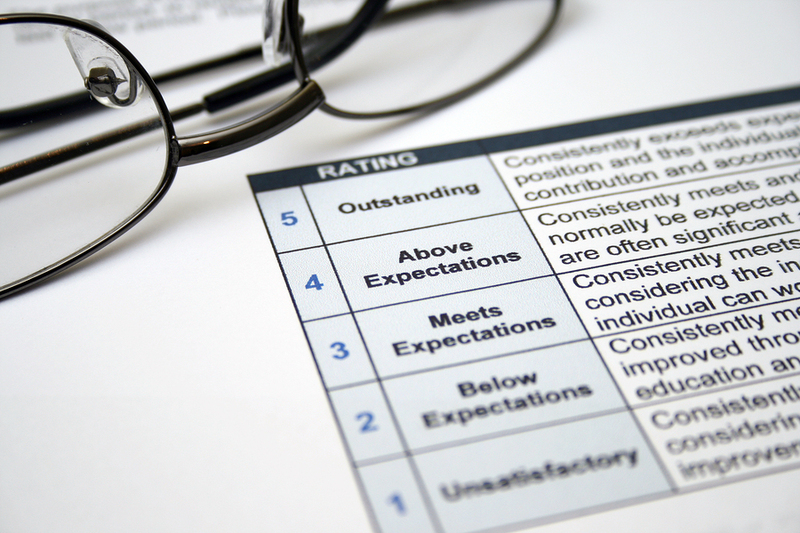 It is important for performance reviews to be in line with the natural cycle of business. If success is measured by the year-end results, then why is the review looking at a different time frame? However, if it is important for the company to have consistent KPI results across the year, then perhaps she a “Far Exceeds” really was not what Alexa earned…just saying. So also, there needs to be a level of clarity on expectations which might not be present in this case. 1) Recognize that the performance review system is not in line with business goals, which negatively impacts the employees, and also the company. 2) Admit it to to Alexa that he agrees there is an issue, and personally commit to fixing it. 3) Lead the change of fixing the review process/timing for the department/company. By doing these things the manager correctly agrees there is an issue and confirms he understands the negative impacts of it. By actually leading the change he would have the benefit of showing Alexa, through his actions, that he cares about her and appreciates what she brings to the business. Also, the entire company will benenfit by ensuring the performance review process is in line with business goals and ensures that everyone knows their expectations. If everyone is VERY clear on the expectations and what it takes to “get an A”, they may not totally like all the expectations, but at least they won’t be perceived as unfair. It’s an ufortunate reality that sometimes systems get in the way of doing what’s right. Alexis’s perception is her reality. And my guess is, Alexis is telling everyone, her coworkers, her friends and everyone within her social media circle what she feels. I see only one way to get Alexis back on track. This being to put her on a leadership development path that aligns with her goals. The path needs to be simple, comprehensive with clear outcomes. And the manager needs to fight like heck to make it happen. This has the potential of getting her head and heart back in the game. However, I also wonder what other incidences exist where she feels she didn’t receive a fair shake. If there is a list, it may simply be too late regardless. When I was an employee I have seen a number of different models to rate performance, similar like a 100m sprint, who comes first? That worked fine at school and with motivated people and comparables skills. I stand for highly specialized “individuals”. It is the manager’s job to keep them to perform on their best. What is the measurable difference between “Meets Expectations” and “Far Exceeds”? Or explain to me the term “clean”, certainly people’s views will differ. I performed best in teams with transparent goals, when exceeding these goals people received a performance bonus similar to profit shares (profit centre concepts). To get the bonus individuals have to work together as a team. Teams who did not deliver where prone to performance enhancing management steps like seminars/courses or restructuring to fix what wasn’t working. Give employees the skills and the tools they need to deliver. I compare the numbers and tell you what is working. That is my successful concept as business leader. What about a company that all of a Sudden perceived an employee as partially performing after 15 years delivering with the company in major projects, which succeeded. Also the same company delivered a message to this employee that he is useless. The message was delivered by the line manager who left the company. What would you say to this company management? – A review can be done at any time so the manager should be encouraged to complete another review at the end of the year when results come out and then continue that pattern. – Alexa should be encouraged to reflect on her experience and whether she wants to be the one responsible for continuing that trend with her team. She leads them and motivates them so by doing just enough she is potentially making the same mistake with the entire team. – Ideally they would get together and problem solve this just as they would any other issue in the workplace including a real clearing of the air if needed. Performance ratings are always subjective. Even with best intent, people often play the system to reward different people at different times for different reasons. With bad intent, I saw exceptional performers getting very low ratings, for example when a manager feels threatened by a very competent subordinate and is proactively searching for anything negative. The reliability and creldbiiity of the have often been subject to differences. There are opinions that the Alexa ranking is far more credible and true for the sites below 10,0000 than that for the ones above it. Another factor that proves to be a major drawback of the Alexa rankings is that the rankings are governed by the and the Alexa toolbar users community. All the browser types are not taken into account as far as the rankings are concerned. As for example the Alexa rankings does not work in Windows Vista even though the latter has a huge user base and is highly popular.